1. Compared with the earlier Ronin series products, what major improvements does the Ronin 2 have? The earlier Ronin series products are mainly designed for the hand-held scenario. The Ronin 2 is highly compatible with cable cams, drones, cranes, Steadicams, and more. The maximum payload of the Ronin 2 is 13.6 kg (30Ib). The Ronin 2 supports multiple professional cameras, matte boxes, filters, etc. The Ronin 2 gimbal can work steadily at high speed with strong motor power and upgraded GPS algorithm. The Ronin 2 offers more stability and convenience. It is equipped with dual battery system, built-in touch screen, tuning knobs, GPS algorithm, camera control system and convenient power supply system. 2. What is Ronin 2’s maximum payload? Ronin 2’s maximum payload is approximately 30lbs (13.6kg). Through our own extensive testing, Ronin 2 can handle an Arri Alexa XT with Cooke Anamorphic/i 32mm lens comfortably. 3. Overall, is stabilization on Ronin 2 higher-performing and more accurate than Ronin/Ronin-M/Ronin-MX? Yes. Ronin 2 was created with stronger motors and its SmoothTrack algorithm has been enhanced for smoother performance. A new GPS module enables it to perform much better in high G-force situations. 4. In which scenarios can the Ronin 2 be used? Ronin 2 is highly compatible with cable arms, drones, cranes, Steadicams, Ready-Rig, etc. A newly designed detachable grip allows photographers to capture more creative shots with the Ronin 2 and Steadicam. 5. Are all three previous modes of operation still available on the Ronin 2? Yes. All three previous modes of operation — upright, underslung, and briefcase — are available with the Ronin 2. What’s new is that users can now switch between upright and underslung modes without changing the orientation of the camera. Users can now lock the yaw motor for 2-axis mode while using Ronin 2 with a Steadicam. Now you can lock each axis for an easier setup, better balancing, and safer transportation. 6. How does the new yaw axis quick release differ from previous Ronins? The new yaw axis quick release mount in Ronin 2 means a faster setup in different scenarios, enabling an easier transition from handheld to car and aerial applications. 7. Overall, is stabilization on the Ronin 2 higher-performing and more accurate than Ronin/Ronin-M/Ronin-MX? Yes. The Ronin 2 was created with stronger motors and its SmoothTrack algorithm has been enhanced for smoother performance. A new GPS module enables it to perform much better in high G-force situations. 8. Does Ronin 2 come with a dedicated stand? No. However, Ronin 2’s new hand and ring grip design come with retractable feet so that the whole gimbal system can stand upright on a flat surface. The grip is detachable and can be separated when standing is not required for shooting or transportation. 9. How about the Working Current? 10. How about the Operating Temperature? The gimbal can stand low temperatures and the battery features auto heating, which allows the Ronin 2 to work well at -20°C. 11. Are all three previous modes of operation still available on the Ronin 2? 12. What new shooting functions does the Ronin 2 support? 1) It supports CamAnchor, which can record the Ronin 2’s movement information. 2) It can capture scenes in motion timelapse. For more details, refer to Ronin 2 User Manual. 13. How do I balance the Ronin 2? With comprehensive performance improvements, the Ronin 2 can move smoothly while recording a video when it is hand held or mounted to a car or a drone. With integrated adjustment knobs and a re-designed camera mounting base, balancing and tuning have been tweaked and refined for ease and speed. 1. What kind of batteries does Ronin 2 use? Ronin 2 uses the same batteries as the Inspire 2. 2. Are Ronin series batteries compatible with the Ronin 2? No. The Ronin 2 is only compatible with Ronin 2 or Inspire 2 batteries and is NOT compatible with any previous Ronin series batteries. 3. How long is the battery life of Ronin 2? When powering the Ronin 2 and a RED Dragon camera simultaneously, the Ronin 2 dual battery system will last up to 2.5 hours. 4. How long does it take to fully charge the battery? 5. What is a hot-swappable battery? A hot-swappable battery eliminates power-related downtime to ensure maximum available power. For example, when shooting a scene with batteries at low power, hot swappable batteries allow you to change one of the batteries without turning off the camera system, gimbal, or accessories. Hot-swappable batteries thus allow you to shoot continuously and uninterrupted. 6. Can I use the Ronin 2 battery with third party products like monitors? Yes. The battery system is designed with a P-TAP port that allows you to power your accessories with industry standard power cables. 1. What cameras are compatible with the Ronin 2? Ronin 2 is compatible with a large number of cameras. After testing, ARRI Alexa Mini, RED Dragon, ARRI Alexa XT, Blackmagic URSA Mini, Sony FS7, etc. can be mounted to the Ronin 2. 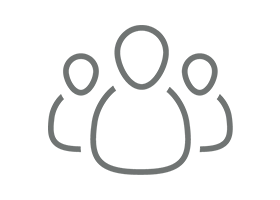 For more supported cameras and lenses, visit DJI’s official website. The biggest device we’ve tested so far is the Arri Alexa Mini with a Canon CINE-SERVO 17-120mm lens. The maximum length between the center of the camera’s mounting base and the roll axis is 245 mm. The width of the camera cannot be wider than 180 mm while the height cannot be higher than 165 mm. 2. What is the largest lens I can mount on the Ronin 2? The largest lens tested on the Ronin 2 with an Alexa Mini weighed about 6.6lbs (3kg). But the largest size of lens varies based off different cameras. The maximum load weight of the Ronin 2 is 13.6 kg. 3. How about the Assistant Software? 4. How do I control the cameras mounted on the Ronin 2? For selected cameras, you can control its settings such as ISO, frame rate, resolution or start/stop through the Ronin 2’s new camera control module. 5. What accessory power connections and connections does the Ronin support? The Ronin 2 can supply power to many cameras with power connections and multiple power supply ports can be extended. The Ronin 2 supports HD-SDI port. 1. Does the Ronin 2 come with a remote controller? Yes. The new remote controller is smaller than before with a more functional joystick. It can operate at dual control frequency bands 2.4 GHz and 5.8 GHz. 2. What are the main differences between this and previous remote controllers? Users can now change the control speeds of the joystick directly on the remote controller by tweaking the knobs, without changing any settings in the gimbal assistant app. 3. What is the control range of the Ronin 2? Unobstructed control range is over 1 km. 4. What is the new gimbal assistant app? 5. What is the built-in screen of the Ronin 2 used for? Ronin 2’s new built-in ultra-bright touch screen provides the convenience of changing gimbal settings without using a mobile device directly on the gimbal. With the built-in screen, users are now able to change most of the settings they see on the new gimbal assistant app. 6. Can I use third-party remote controllers with the Ronin 2? 7. Does the Ronin 2 have a GPS module? What is it used for? Yes. 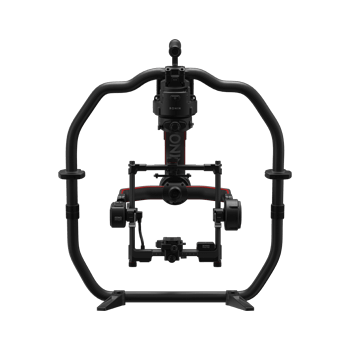 The built-in GPS module allows the gimbal to work smoothly at high or accelerated speed. An additional GPS module can be mounted to the Ronin 2 for diminishing the interference with the GPS signal. 8. How to Calibrate the Remote Controller’s Joystick? 1. Press the C1 button and C2 button once, then press and hold them until the remote controller beeps. When the remote controller emits “DDD, DDD, …” sounds, the calibration is enabled successfully. Note: Do not touch the joystick before the calibration is enabled, or the calibration will fail to be enabled. If so, operate the preceding operations again. 2. Push the joystick to the endpoints in multiple directions (top, bottom, left, and right) multiple times and rotate the roll axis knob clockwise and counterclockwise to the end point, respectively. 3. Press and hold the C1 and C2 buttons at the same time to complete the calibration. When the remote controller emits “DD” sounds, the calibration is complete. If no sound is heard, the calibration fails. If so, operate the preceding steps to recalibrate the joystick. 1. On the Ronin 2’s built-in screen, tap “Setting”, enter the General screen, toggle the dial to select “Start” under Bind Device, and tap it to start linking. 2. Press and hold the power button on the remote controller to power on and the LED on the remote controller will be solid red. 3. Press the C1 button and C2 button at the same time, then press the red REC button without releasing the C1 button and C2 button to start linking. The remote controller will emit “D, D, D…” sounds. When the linking is successful, “D, DD” sounds can be heart and the LED on the remote controller will be solid green. Otherwise, link the remote controller to the Ronin 2 again. The remote controller only needs to be connected to the Ronin 2 once in the first use. When using another remote controller with the Ronin 2, operate the preceding steps to link it to the Ronin 2. 1. Can I check the error information on the built-in screen when there is an error with the Ronin 2? Yes. Enter the Monitor screen, tap “Log”, and check the gimbal error logs. 2. Can I calibrate the Ronin 2 with the built-in screen when the Ronin 2 shifts? Yes. When the Ronin 2 shifts during use, go to the Setting screen, and tap “General” and “Calibrate Sys” to start the calibration. 3. Can the mounting modes for the Ronin 2 be switched with the built-in screen? Yes, the Handheld, Car Mount, Aerial, and Tripod modes for the Ronin 2 can be switched with the built-in screen. 4. Can the gimbal modes for the Ronin 2 be switched with the built-in screen? Yes, the Lock, SmoothTrack, FPV, and Center gimbal modes for the Ronin 2 can be switched with the built-in screen. 5. Can the SmoothTrack settings for the Ronin 2 be adjusted with the built-in screen? Yes, enter the SmoothTrack screen and set the parameters including “Speed”, “Deadband”, and “Accel”. 6. Can Auto tune for the Ronin 2 be conducted with the built-in screen? Yes. After the Ronin 2 is balanced and powered on, enter the Motor screen on the built-in screen and tap “Auto tune”. 7. How can I check the connections between the Ronin 2 and the peripherals on the built-in screen? Enter the Monitor screen, tap “Device”, and the connection information of the remote controller, GPS, aircraft, DJI Focus, Shutter, etc. will be shown under Device. 1) Ensure that the Bluetooth on the mobile device is turned on. Power on the Ronin 2 and launch Ronin assistant app. The app will automatically search the Ronin 2’s Bluetooth. Select the corresponding Bluetooth, and click “OK”. If it is connected for the first time, the app will ask you to name the Ronin 2 and set the password. 2) The Ronin 2 supports Auto Tune. You can calibrate the motor and other sensors based on the camera’s weight. When using Auto Tune, ensure the gimbal and camera are balanced. 3) Under the Auto Tune in the assistant app, power and three axes’ real-time attitude data are shown. When SmoothTrack mode is enabled, you can control the gimbal pan and roll movements. Adjust the SmoothTrack settings to achieve stable shooting with different effects. The motor stiffness adjustment allows you to fine tune the amount of power that is applied by the motors as they maintain the camera’s position. When the stiffness value is adjusted lower, you can push the camera easier. When the stiffness value is set properly, a suitable resistance will be provided by the motors to stabilize the camera when an external force is added. If the camera vibrates, the stiffness value is set too high. Adjust the motor stiffness of each axis until the vibration disappears. The motors’ angles can be fine-tuned. Battery level, attitude, voltage, and temperature, etc. can be checked on the screen. Tap “More” to check more functions. In some demanding scenarios, the Ronin 2’s stability may be affected. The calibration system can reconfigure the Ronin 2’s built-in sensors. When using the calibration system, place the Ronin 2 on an even ground. After the calibration is successful, restart the Ronin 2. 1. Are all Ronin series accessories compatible with the Ronin 2?